Throughout the history of the United States there has only been one person to serve as president for multiple – but non-consecutive – terms. That person is Grover Cleveland and he has uniquely complicated the presidential math. Although nearly everyone knows there have been forty-four presidents so far, there have only been forty-three people to have ever been president. I may be the only person bothered by the fact that Grover Cleveland gets double-counted, and that’s fine. But for all that statistical trouble I currently have just two biographies of Cleveland in my library. 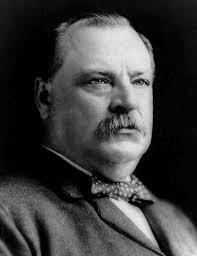 The first biography of Cleveland I’m reading is “Grover Cleveland: A Study in Courage” by Allan Nevins. This 1933 Pulitzer Prize winner is a two-volume study which I own in the form of a single, lengthy book. In my edition it isn’t even possible to tell where one volume ends and the other begins. My second biography of Cleveland is “An Honest President: The Life and Presidencies of Grover Cleveland” by H. Paul Jeffers. 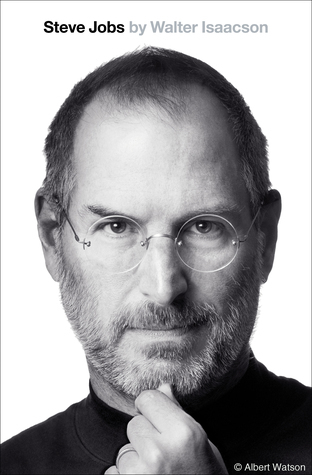 Published in 2000, this single-volume biography is about half the length of Nevins’s and is more frequently read. And *if* it arrives in time (I’m skeptical…it’s holiday season after all) I also plan to read Alan Brodsky’s “Grover Cleveland: A Study in Character.” Published just a few months after Jeffers’s biography, this is also a mid-sized and relatively frequently read single-volume study of Cleveland. But if UPS is too busy delivering a 3-Axis DJI Phantom drone helicopter to every child in my neighborhood, I will add Brodsky’s biography to my follow-up list. Yes, the non-consecutive terms complicates the math, but there are good reasons for counting Cleveland twice. Because he served terms in two different periods, his experiences were quite different. Term 1 — not too bad. Term 2 — utter disaster. But if you’re looking for other Cleveland books, Horace Samuel Merrill’s “Bourbon Leader” is a short and very readable interpretation. But I would also highly recommend Richard Welch’s “The Presidencies of Grover Cleveland.” It’s one of the University Press of Kansas series on the presidency — they are not all of equal quality, but the Welch book on Cleveland is quite good, readable — not a full-fledged biography (though he does give you a biographical sketch), but an excellent overview of the presidential years, free of undue praise. The beauty of reading about Grover Cleveland is that you can read about him both before and AFTER Benjamin Harrison……..
I’ll be curious to hear your take on Grover Cleveland. I don’t really know much about him or his Presidencies, but he is one of my husband’s descendants! Jon’s middle name is Cleveland, in tribute. If you’re not sick of Grover after three biographies, I recommend Matthew Algeo’s “The President is a Sick Man”. It’s a quick read that gives a decent amount of biographical context (from what I remember), but focuses on the secret and risky surgery that was preformed on him at the beginning of his second term. There’s a lot of interesting details that gave me an appreciation for the last century’s medical advances.